HMD Global, the Finnish company behind Nokia smartphones, has just announced it has expanded its partnership with Pixelworks, a major player in the visual display processing and advanced video delivery solutions industry. 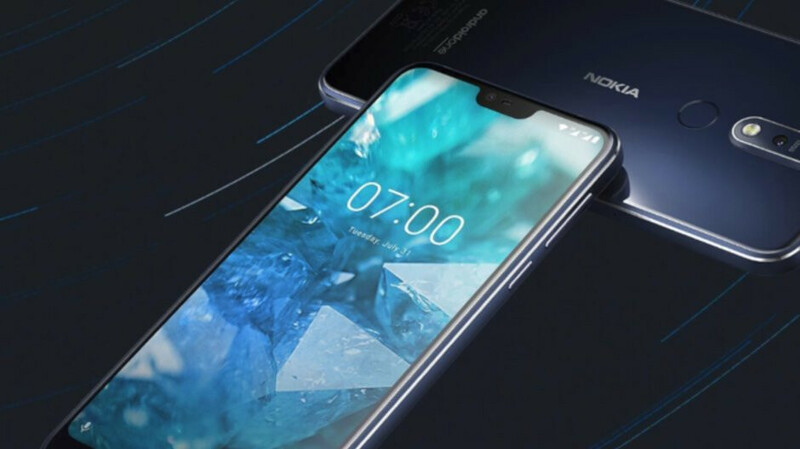 The first product that benefited from the collaboration between the two companies, the Nokia 7.1 boasts an impressive PureDisplay screen that enhances the viewing experience. 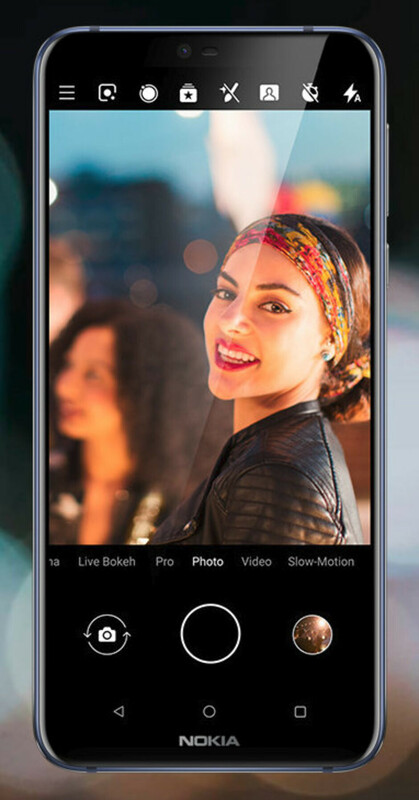 This is also the first smartphone that uses Pixelworks' last-gen Iris processor and Qualcomm's mid-tier Snapdragon 636 chipset to deliver exceptional visual performance on an LCD display. The PureDisplay on the Nokia 7.1 embeds Pixelworks technology that sets the smartphone apart from other mid-range handsets. Thanks to superior HDR tone mapping that offer an enhanced viewing experience when watching HDR10 videos or pictures, as well as local contrast and sharpness enhancement, is safe to say that Nokia 7.1 is far from being just another average Android smartphone. The announcement mentions that the next-generation Nokia smartphones will pack Pixelworks' PureDisplay solution, along with all the imaging and mobile video enhancements it brings. And since the next Nokia smartphones will be unveiled on February 24, we're anxious to see what the Finnish company has in store for us. Awesome. As it’s getting harder and harder for all-touch smartphones to differentiate from one another, screen technology is one way to do it. Glad that HMD, with this continued partnership, will continue to bring this to all of their future smartphones. I'm looking forward to there 2019 Nokia midrange smartphones beside their flagship phone.Nokia 7.1 was only good about HDR and 8.1 plus was only good about OIS in the camera. I'd like to see them bring Oled tech back to their displays too. Knock the 2019 line up out of the park HMD! Just beat the Pocophone and the king will be back. The king is already here and it's the 6T. That's the phone to beat. Agreed. They are the once and future king. The only king that exists now "imo" is the 6T. The once (fact) and future king (imo) is HMD/Nokia. That was way back in the day. Today is a whole different ballgame and the 6T is the one in the throne. The 6T is just one phone. HMD is an entire company. There is no comparison between one phone and an entire company. And it’s “on the throne”, not “in the throne”. You’re welcome. One phone from a company that has successfully established itself in the US with affordable, cost friendly devices that have cutting edge specs. I stand by with what I said before. Stop deflecting from the fact that you don’t know how to say “on the throne” correctly, lol. And HMD is an entire company that has reestablished the Nokia brand, and One smartphone doesn’t compare to the entire company. I stand by what I said before. The 6T is from an entire company that has successfully established itself in the US. Fact whether you want to believe it or not. You harping on a misnomer isn't going to change that. HMD is an entire company that has reestablished the Nokia brand globally. You can’t compare the two. You can compare companies to companies and smartphones to smartphones, not smartphones to companies. That’s a fact whether you want to believe it or not. You harping on the fact that I pointed out your inaccurate comparison isn’t going to change that, and learn the difference between when you should use “in” vs “on”, lol. I can't? I just did. I don't need your approval to do so. You're just saying that because you want to push the goalpost back again. Nice try but it doesn't work that way. Lol, you wish you did. I’m saying it because it’s true and because “logic”. But do continue to throw logic out of the window just like you did with knowing when to use “in” vs “on”. Looking at the 7.1, I think display isn't really a problem with Nokia. Even the 6.1 had a great display. Just the paltry storage and the mediocre RAM that was the problem. I think they should focus on unifying their products and keeping the naming consistent and less hard to follow. That's what Nokia needs to focus on imo. HMD has already taken steps with the naming process, so that’s a non-issue. There was an article here that mentioned it some time ago. The storage (ROM) on the 6.1 would have been an issue, but it has expandable storage, so that’s a non-issue as well. Expandable storage isn't as good as on board storage. Some apps don't allow you to write to the SD card and a lot of times, the system files can eat up some of your storage meaning that you have less than 32GB to work with. Just because it's a non-issue for you doesn't mean it will be for someone else. You are not the only one who uses a smartphone. Most apps allow you to write them to SD cards, and 32 gigs more than enough for those few that don’t. SD cards have also come a very long way from what they once were, so it’s a non-issue, as I said. Just because you feel a non-issue is an issue, doesn’t mean everyone else does. You’re nit the only one who uses a smartphone. Even if they did, it wouldn't be as seemless as it would be if they were running off the on board storage. 32GB isn't enough storage plain and simple. Several people have had issues with the on board storage being too small. That has been reflected in some reviews and user reviews. The phone itself is excellent, but it's just not enough storage and RAM. It does, and as I said, expandable storage has come a long way. You don’t decide whether 32 gigs of storage is enough for everyone. Plain and simple. Several people have has issues with storage built into smartphones as well. All sorts of issues arise. Most reviews don’t make mention of the 32 gigs of storage being inadequate, especially on a midrange smartphone. Come a long way still doesn't eliminate the pitfalls of expandable storage. I don't have to decide. The feedback on the internet says it all. You are the only one who is trying to decide for people as you are trying to do right now. Actually some do point it out especially if multiple variants exist. The feedback from the internet is what let’s people know that it’s come a long way. The feedback from the internet is that people still want expandable storage. You are trying to decide for people like you always do. Several manufacturers make multiple variants. You are still trying to shove your ridiculous gospel down other people's throats on Nokia articles. That user called you out correctly in that article link. You always jump down someone's throat in a Nokia article then act like they are the one who is in the wrong when it's you. No, that’s what you’re doing, and you’ve even been called out for it now on a recent LG article. What the what? What link? What are you talking about? Stay with me here. You always try and shove your opinions down peoples throats on several articles, and then get mad and play the victim when it’s you that’s wrong. Don't act like you don't know what I'm talking about. You are doing exactly what you always do and you got called out in that article link I posted. Lol, I don’t know know what you’re talking about. You’ve provided no link here. You are doing exactly what you always do when you get called out proven wrong, which is change the subject.